Some of you will be familiar with ‘March Madness’ which starts next week. It is a couple of weeks in March when US universities play a knockout basketball competition. At Michigan State University, where I used to be a professor, there would be huge disappointed if we did not make it into the final sixteen and great excitement if we were in the final four or even the final. 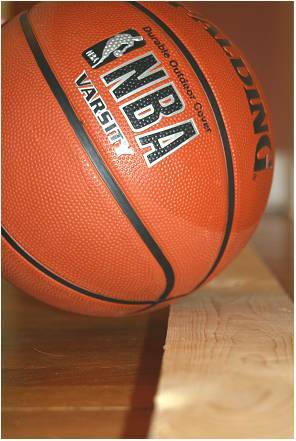 Basketballs can be a useful, and in the USA in March topical, prop to use in teaching dynamics. In the lesson plan below angular momentum is used to investigate a basketball rolling over an obstacle, which could be someone’s foot rather than wooden block used in the example. Of course, with 91 days to go until the start of the FIFA World Cup in Brazil, you could easily switch to a football. See the Everyday Examples page on this blog for more lesson plans and more background on Everyday Examples. This entry was posted in everyday engineering examples, mechanics and tagged 5Es, basketball, dynamics, Engineering, football, mechanics on March 12, 2014 by Eann Patterson.